Central Manchester has so much to offer, but one of my favourite things about the city is its diverse suburbs. You can travel ten minutes down the road and feel like you’re in a completely different town. Weekends are the perfect time to visit these vibrant neighbourhoods, and I recently spent the day exploring Levenshulme, said to be south Manchester’s next up-and-coming village. 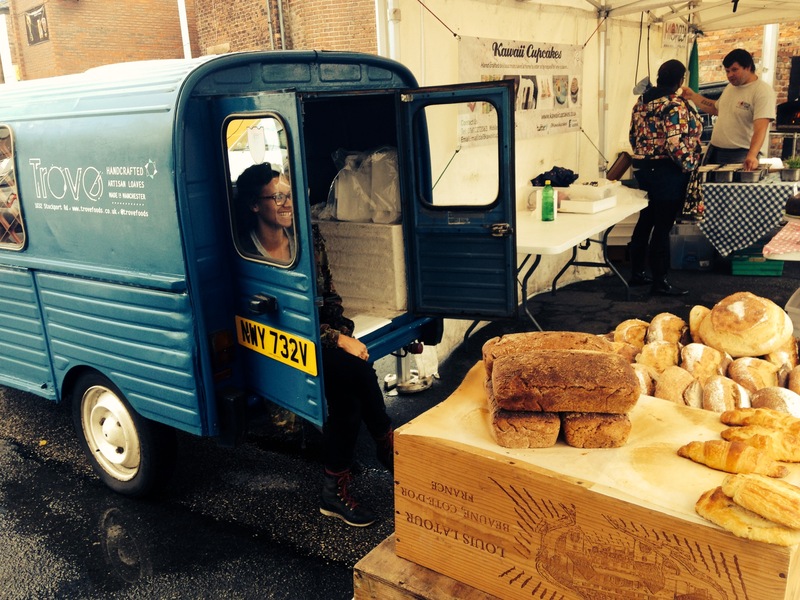 We started out at Levenshulme Market, held every Saturday from 10am until 4pm, with dozens of stalls selling everything from food to furniture. 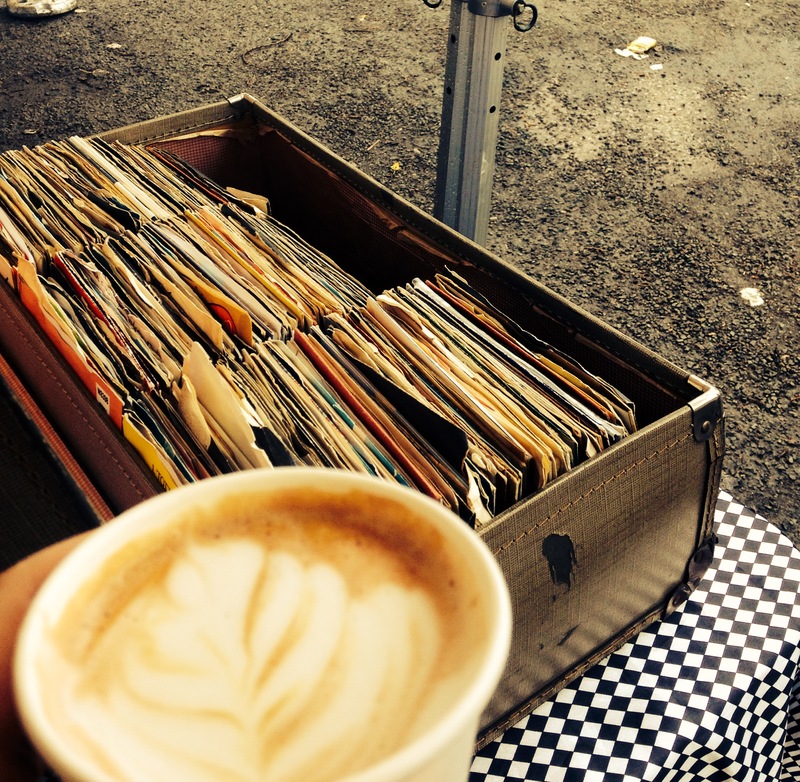 There was an early autumnal chill in the air, so I picked up a warming drink from Coffee Cranks Cooperative to sip while flicking through some vintage records and second-hand books. 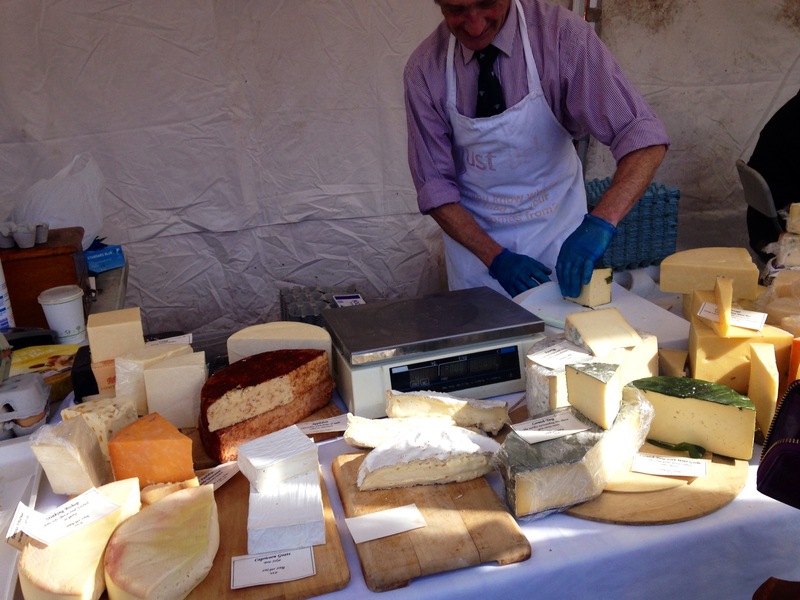 After sampling some delicious cheeses, I bought a hearty wedge of Cornish Yarg to enjoy at home. 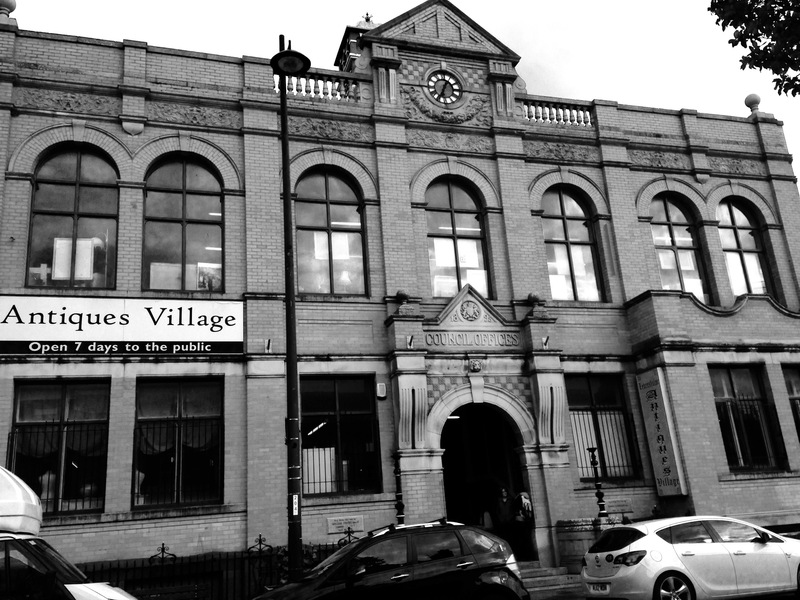 Next, we strolled along to Levenshulme Antiques Village, housed in the pretty Victorian Old Town Hall. You could easily spend hours amongst the treasure trove of furniture, homeware and trinkets in this historic building, but our greedy stomachs got the better of us so we decided it was time for lunch. 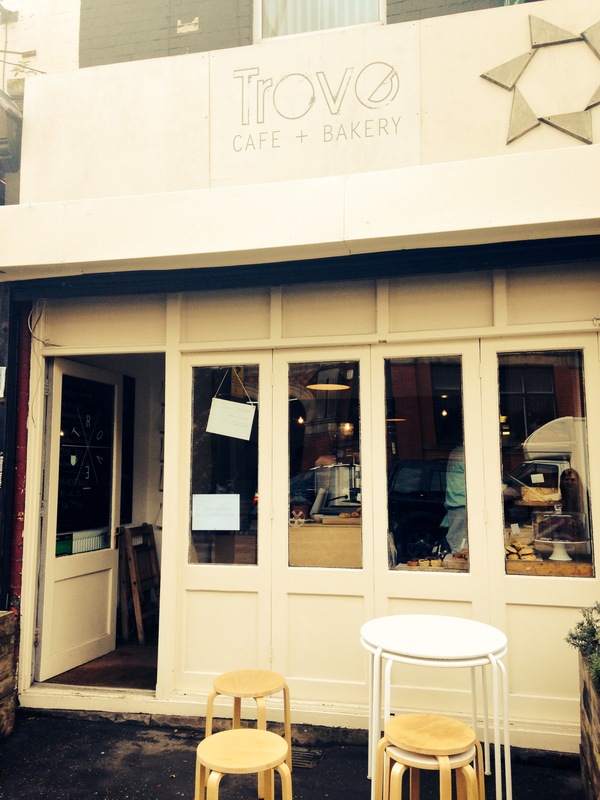 Luckily we didn’t have far to travel, as the pretty Trove café and bakery is just over the road. This popular eatery was almost full to bursting, but we managed to squeeze in a cosy corner. 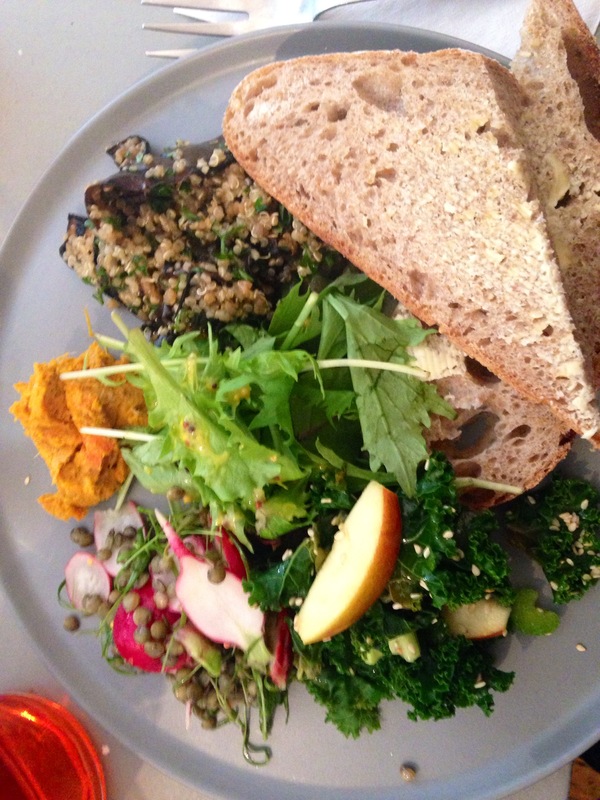 With a tasty menu including plenty of vegetarian options I was completely spoilt for choice, and eventually decided on a seasonal salad plate filled with delicious autumnal veg, served with a hearty chunk of wholemeal sourdough. 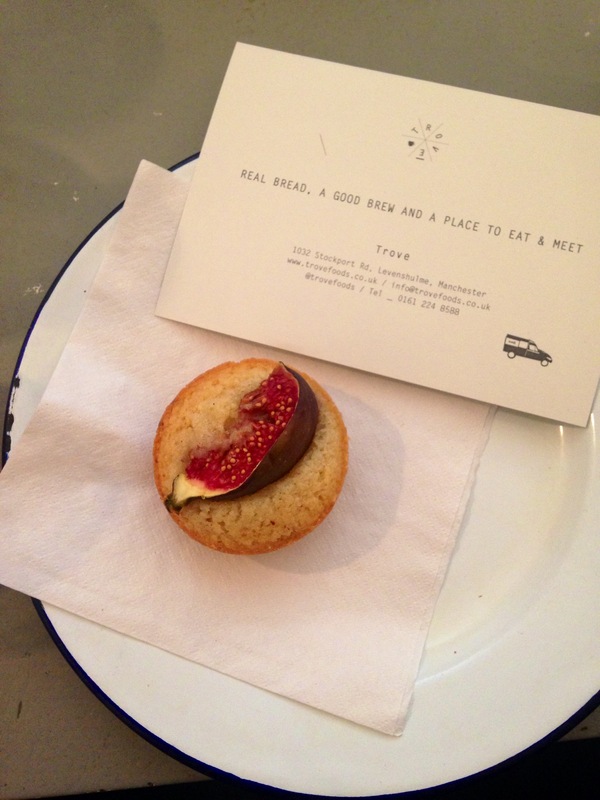 It seemed almost compulsory to try Trove’s pastries, so I opted for a sweet fig financier, washed down with a glass of refreshing rosehip cordial. 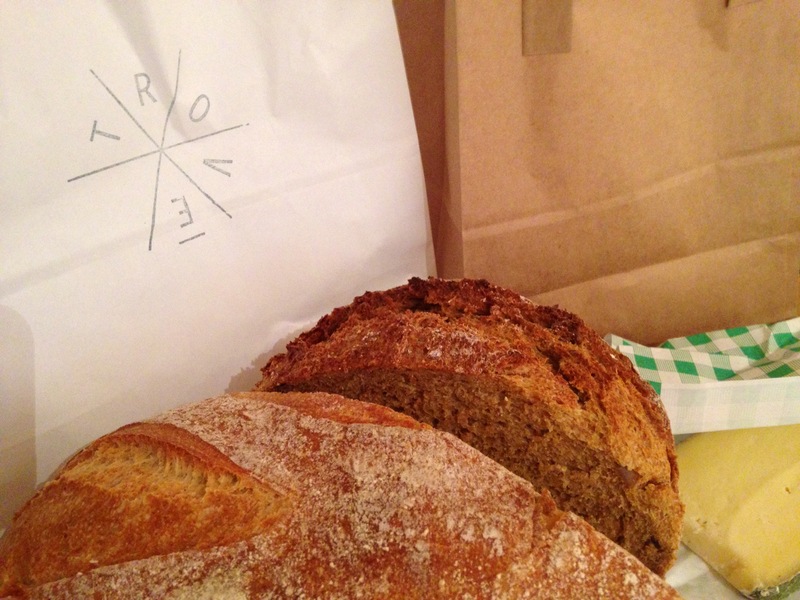 And the bread was so good that I decided to take some home. Indecisive as ever, I chose half a loaf of wholemeal rye with molasses and half a loaf of white sourdough; the perfect accompaniment to my creamy Cornish Yarg.